Suitable for flat cable. UL listed. Contact blades are suitable for solid and stranded wire from 24-26 AWG. 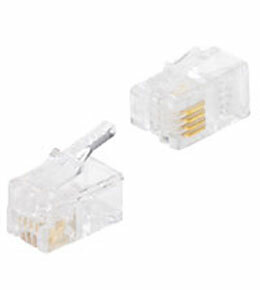 Known as RJ9, RJ22 or handset plugs.